No matter how much complicated your business is a good UX design can make everything really simple for users to use you application. This is where we are unique and innovative than many other software solution providers. We keep everything simple and interactive so your business doesn't get hide behind unnecessary design show offs. While solving a UX problem our first goal to introduce your users to your business. 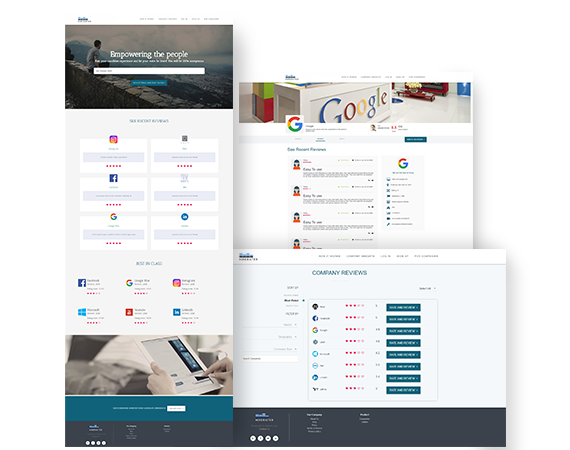 No matters it’s a simple website to represent your business or a very complex web application that accelerates your business we are here to help you with it within your budget. We have years of experience of building, deploying and managing these types of web applications and websites. You can visit our demo works to get into our profile. We work with latest technologies like AngularJS, ReactJS, Bootstrap, Material Design etc to ensure faster and smoother development as well as quality of our product. 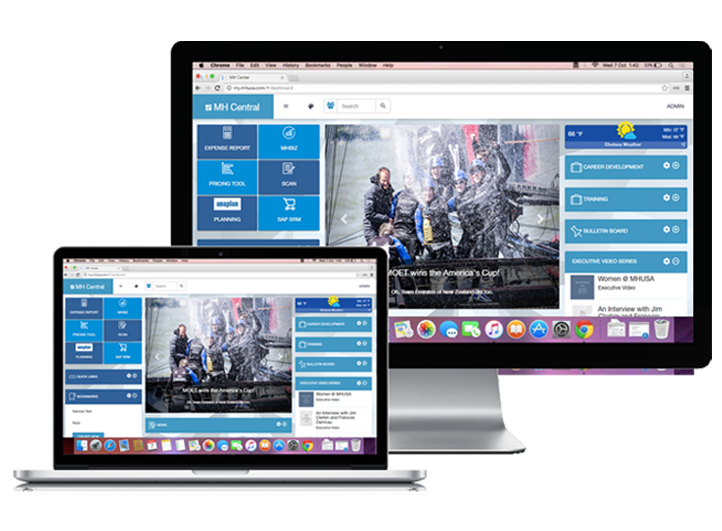 We build your web site in way so that you can browse it using your phone, tab, laptop or even TV! Our sites are responsive in any device. Our team is ready for you to help implementing payment gateway, facebook, twitter, amazon services or some other cloud services integration in your existing system. We can help you building complex back end API for your business. We are experienced of building highly scalable multitenant, loosely coupled business application that will sustain for years to help your business. We are working with latest technologies like RabbitMQ, AWS, Azure, Google API, OAuth-2, MongoDB, PostGRES, SQL Server and many more. We develop android application with native Android and IOS with hybrid app development technologies and Xamarin which ship higher-quality apps faster and with more confidence. We directly speak to our clients to figure our their actual business problem. There is no manager so that there is no comprehensive data lose here, you share your problem with the developer himself. This is an iterative process. We continuously keep our clients up to date regarding the progress of his product and we keep our clients very close to our development procedure. Our design will guide you to the task you want to accomplish in the most interactive way. We keep our deisgn simple and trendy so that your product does not look too much different from the applications you use in your daily life like google,facebook,amazon etc. Usablity is the utmost priority for our designers. Issues like responsiveness,cross browser compatiabloity, mobile device view etc never appears in production because we use latest design guidelines and frameworks while developing the front end..
We follow strick agile methodology while development. We use issue tracker that keeps the whole team organized. We log time and we wnat to get paid only for what we build.. Testing is mostly done by our developers. Currently we don't have professional tester in our team, we mostly rely on clients feedback. Since , our clients keep closesly attached to our development process we hardly feel that we need a QA in our team. Beautiful ad of a home shown to people who have expressed a clear interest in similar homes or have a matching demographic/ behavioral profile. Get a strong intake argument by offering sellers smart advertising on social media. We used Artificial Intelligent to create automated ad from agency portal and deliver the ad to relevent people using machine learning algorithm. Agent Booster leverage agent’s local expertise & referrals to connect with people looking to sell their home. 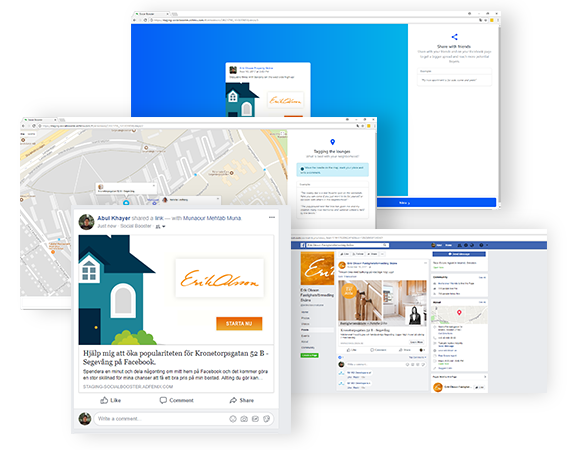 By using personalized and targeted advertising that is digitally distributed in the area where the agent is operating they create a success story around their agents that will be showed. 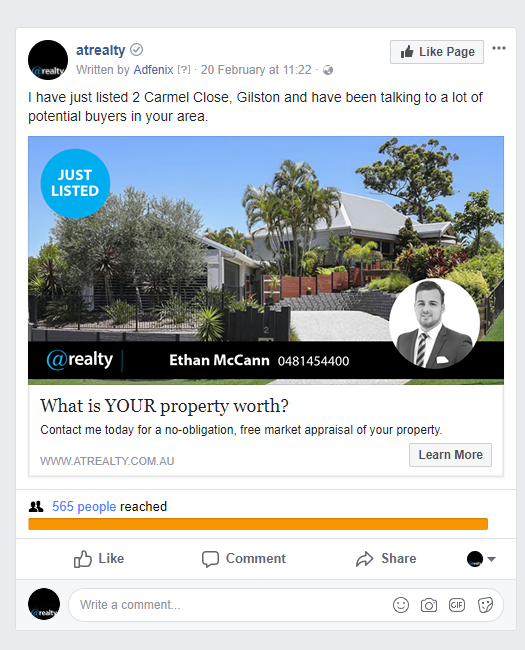 Application to reach even more potential customers by tapping into sellers social networks and maximise engagement on your ads by encouraging sellers to share personal facts about their homes and neighbourhoods. 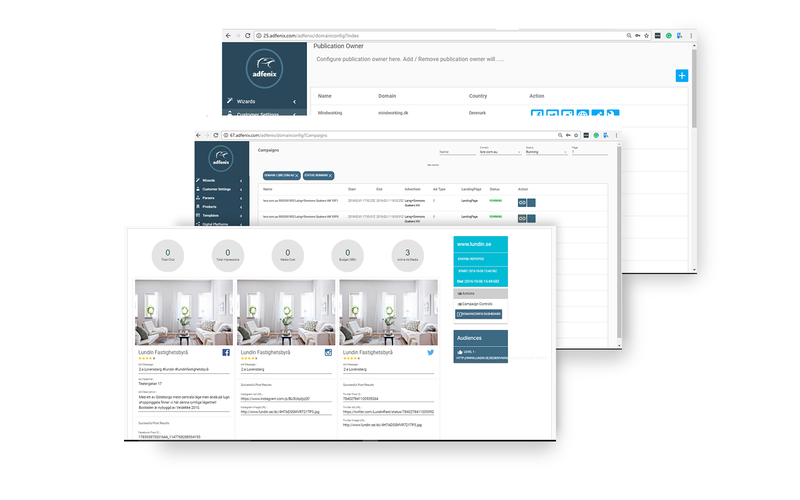 We build a portal for managing client onboarding, configuration, subscription to support home booster and agent booster product. 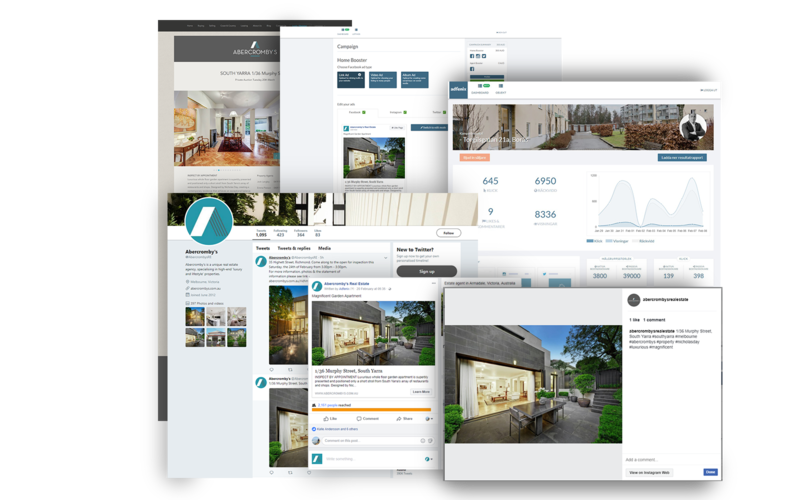 It collects property info from real estate portal, build audience insight and creates social media ad autometically. We created rating portal to help create transparency of the candidate experience across companies and help others to get a better experience next time they apply for a job. We have created a pricing tool for Moet Hennessy to manage their Marketing Associates working in different markets in the United States to simulate distributor pricing on the fly. We created a dashboard that connects all utilities within the organization from HR Payroll, Emails, CRM utilities to Performance Indicators, Charts, Trends, Company News, etc. Experience our marketing automation tool? We are a software company and a community of passionate, purpose-led individuals. We think disruptively to deliver technology to address our clients' toughest challenges, all while seeking to revolutionize the IT industry and create positive social change..